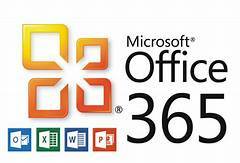 Students and educators get Office 365 for Education free. Organizations license software here. Buy cloud services from certified Microsoft Cloud Solution Providers through a pay-as-you-go model. A CSP can help you determine the best cloud solution and will support you from purchasing to deployment and use. 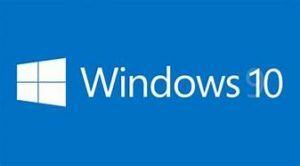 Buy Microsoft software licenses and cloud services through subscription-based licensing. 1-3 year terms with annual prepay options from trusted Microsoft Education Resellers. Students ride free when you license all faculty and staff for Windows 10 for Education, Office 365 Pro Plus, and Microsoft Intune. This is the most cost-effective solution for large-scale deployments. Convenient single-subscription agreement with 1-3 year pre-paid terms. The volume licensing agreement that best fits your academic organization depends on the size and type of your institution and how you want to acquire Microsoft licenses and cloud services. Download an academic comparison chart to help you find the right agreement for your organization. Introducing the new Enrollment for Education Solutions The Enrollment for Education Solutions (EES) has been modernized to simplify and standardize how you license Microsoft cloud services and software. With EES, you get broader access to cloud services, the ability to more accurately direct technology spend, and enhanced benefits with tools and resources to help you manage your institution while empowering your faculty to innovate. EES is now based in cloud services, but it enables you to maintain an on-premises environment so you can migrate to the cloud at your own pace. By moving to a per user model, we’ve simplified and standardized coverage calculations and updated user definitions so your technology spend will more accurately reflect the usage of Microsoft cloud services and software. With an expanded set of student use benefits and access to free online services for light users, you get more value for your organization-wide commitment. See the Enrollment for Education Solutions Licensing Guide or FAQ below for more information, including details on new qualifying products and the new, enhanced set of student use benefits, or watch this short introductory Enrollment for Education Solutions video.